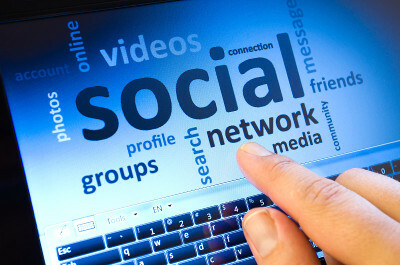 We live in an emerging hyper-connected era where people and appliances are online and interact all the time. These interactions take place via ever increasingly sophisticated ICT systems forming networks of both human and machine participants. Machines are no longer passive participants in such networks, merely mediating communication between humans; they are increasingly taking an active role, enabled by technological advances allowing greater autonomy and ability to perform increasingly complex tasks. The focus in HUMANE (a typology, method and roadmap for HUman-MAchine NEtworks) was on human-machine networks, which is defined as a collective structure where humans and machines interact to produce synergistic effects. A synergistic effect of a human-machine network is an effect produced by the network which is greater than the sum of the effort produced by its nodes. That is, the interactions between humans and machines have emerging properties, able to achieve outcomes that neither humans nor machines would be able to achieve independently. We did a comprehensive review of human-machine networks and have discussed the emergent design and development trends in a paper published in ACM Computing Surveys in 2017. Click the link below for an arxiv pre-print. Understanding Human-Machine Networks: A Cross-Disciplinary Survey. ACM Computing Surveys, 2017. The overall objective of HUMANE was to improve public and private services, by uncovering and describing how new configurations of human-machine networks change patterns of interaction, behaviour, trust and sociability, and how public and private services need to fit the specific networks involved. HUMANE developed a typology and method for human-machine networks, considering relationships between networked humans and machines such as motivation, reputation, responsibility, privacy and trust. The HUMANE typology and method help system designers, practising human-centred design, design new and successful systems by allowing them to explore the behavioural impacts system configurations are likely to have on its users. The HUMANE project developed three policy roadmaps with higher-level policy goals, intended to be implemented by administration bodies and policy makers. 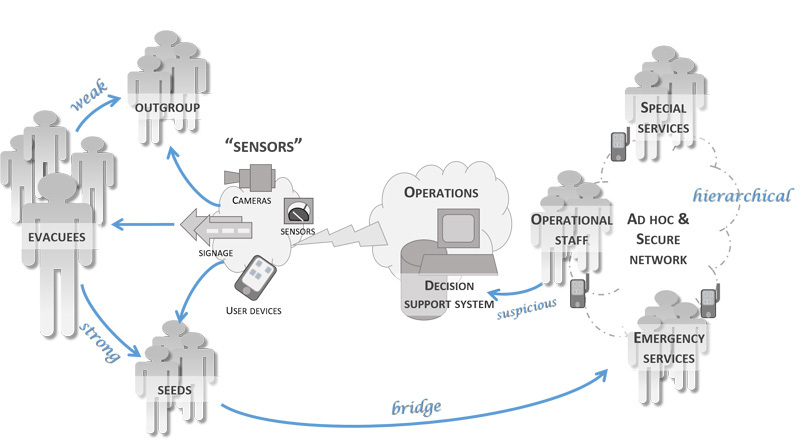 IT Innovation developed a roadmap for human-machine networks for citizen participation. This roadmap focuses on how social media can be used to enable members of the public to engage with elected government representatives and participate directly in the democratic process. 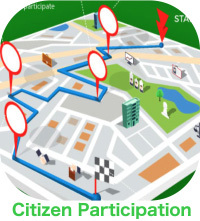 The citizens' participation roadmap brings to the fore a number of questions around current practices surrounding social media in civic engagement and evidence for ways forward in this sphere. For more information, see the roadmap factsheet and roadmap whitepaper. Other consortium partners developed roadmaps for eHealth and the sharing economy. IT Innovation had an integral role in this project, providing key expertise on trust, trustworthiness and reliance, building on our experience in projects like OPTET, REVEAL and OPERANDO. This is an essential aspect of the typology development for modelling and understanding the interactions between human and machine actors. We also applied our expertise on network analysis, social dynamics and psychology concerning human interactions in machine scenarios, drawing on projects such as ROBUST, SERSCIS, SESERV and TRIFoRM. As a practical application of the HUMANE typology, IT Innovation developed a generic software model of human-machine networks for simulation purposes, drawing on tools and experience from IRMOS, ROBUST and DAVID. This was validated on two human-machine networks within the project: Wikipedia and TrulyMedia. For more information, see this blog entry. The HUMANE project was a 26 month project funded by the EC H2020 framework programme. This project has received funding from the European Union's Horizon 2020 research and innovation programme under grant agreement No 645043.